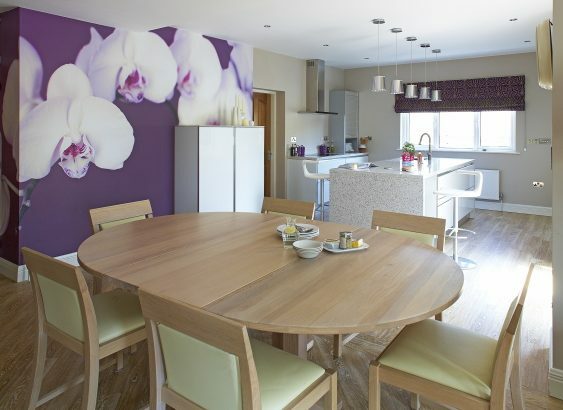 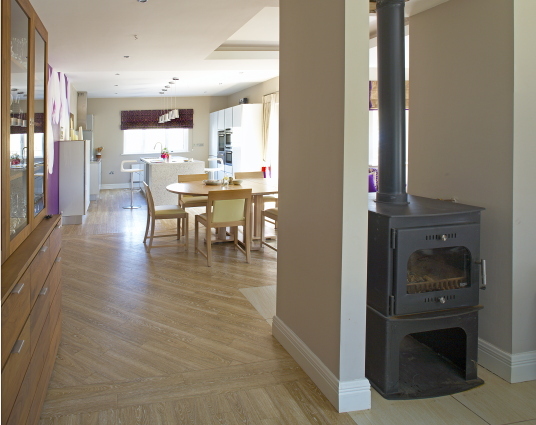 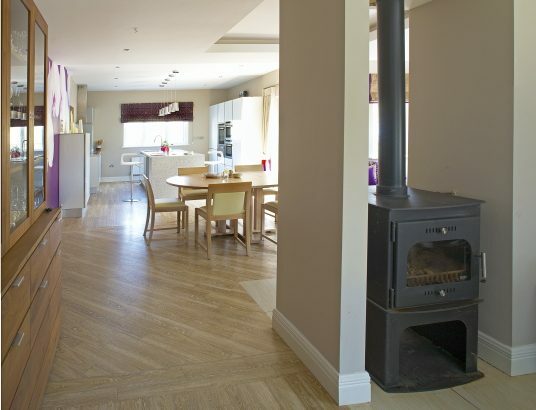 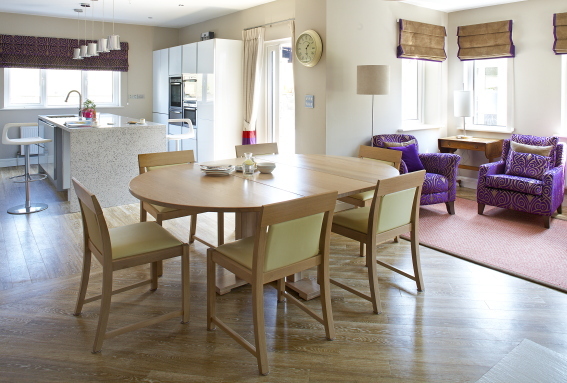 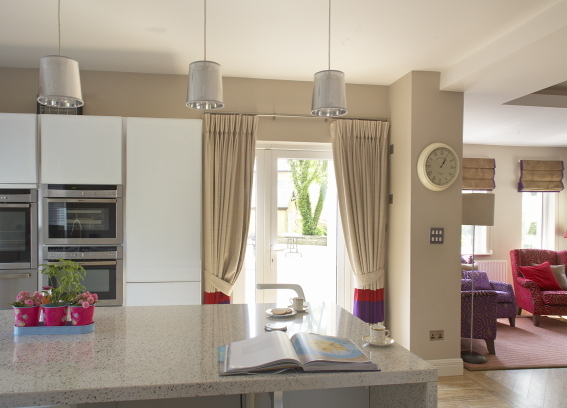 This project was a renovation of the existing kitchen, dining and sitting room area. The client wanted to update the space to meet their functional and design needs. 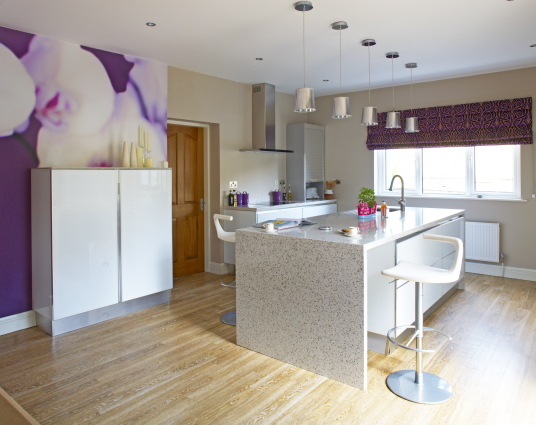 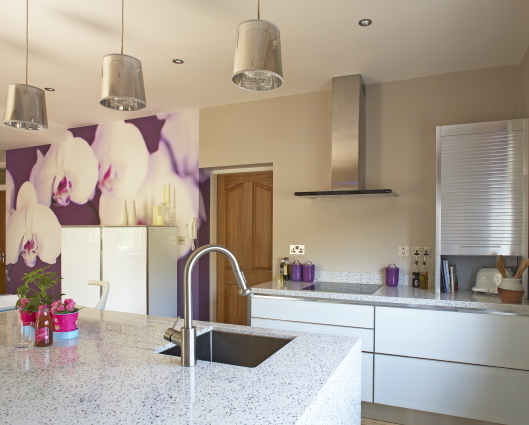 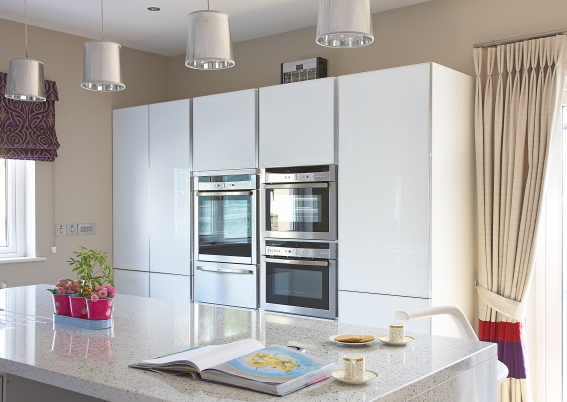 The kitchen layout is designed to maximise the light and workspace as well as flow from room to room. 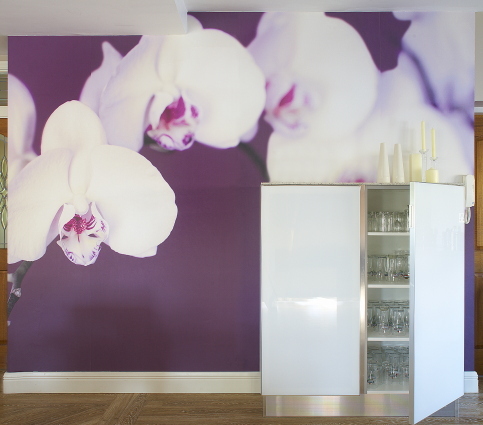 We put custom wallpaper on a feature wall to bring colour and art in to the spaces. The kitchen features high end, quality finishes that provide the client with the best space to cook and enjoy meals with family and friends.